The energy of the rose is growing. She is blossoming and moving us into the vibration of love. However she is becoming impatient. She wants us to remember now and to take action. She is inviting us to bring in our generative energy as a member of the Sisterhood of the Rose. There is something more – please pay attention to the life you are living now and move on from it consciously. You deserve more and you are worthy. And please believe there is a reason you are here. Have you figured it out yet? Who are you really? Well take action – please take action – just one step will do it. It does not really matter what that action is – it is just simply the time to take action – to move into the full vibration of the Rose. There is a great deal going on about the Sisterhood of the Rose. The Sisterhood has already figured in the Rose Series – it will also be an integral part of the next book. Its members are beginning to remember who they really are – here is an article that may help you to remember. The Sisterhood of the Rose is a group of specially gifted women who first came together in Atlantis. Here they created an ancient mystery school of profound knowledge[i]. The key aspects of their teachings are being perpetuated in this life as they come together again and remember their important links with antiquity, wisdom and knowledge and with the foundations of universal law – and of course with the mystery and mystique of the rose. It is our esoteric rose that carries the sacred knowledge – she is as alive and active today as she was then. The rose represents the feminine energy. She fostered and embodied the knowledge that needed collecting and saving at the time of the fall of Atlantis. She asked us to carry this knowledge within us in a unique form. We did this sometimes to our own detriment. We placed the rose in our physical bodies and guarded and protected her until now. And so we – and I say we now – because I am one of these women who have protected that rose within for many centuries – we have begun to release the last petal for that special rose information that we carried for so long. Yes it is now time to release it all. It is time to deliver the last ROSE PETAL. If you are reading this please keep in mind that you have chosen to remember your role at this exciting time. 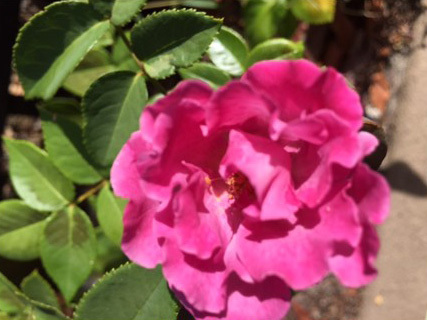 You have elected to be part of the rose rebirth on both a planetary and a personal level. You are becoming the living model of this new world which is emerging from within us as the rose rebels at any restrictions – this is what I call the Rose Revolution – she is anxious to emerge fully and she will do anything to make sure she can be seen and understood. One of her offerings in the new vibration is to suggest a metamorphosis – in other words a release from density – to those who find her – she offers true liberation. Members of the Sisterhood of the Rose are in the process of crafting their light bodies – however their light bodies will not be fully integrated and expressed unless the final petal of the rose is released. If you are experiencing interesting issues or illness at this time do not be concerned. It is only the last vestige of the rose coming from within you – the last rose petal – reminding you of who you really are – and reinforcing as she emerges the promises you have made to be her representative at this important time on Mother Earth. In their time in Atlantis the sisters perfected a form of energy training called Rose Alchemy. Rose Alchemy was one of many ways they used to link with the Goddess energy and with the divine feminine. Particular forms of the Goddess energy directly connected with Rose Alchemy include the energies of Isis in Egypt. Many people are initially drawn to making an Egyptian connection. This is often only the first step as other archetypes emerge to help with the journey. Kwan-Yin and Kwaneen are two forms of the Goddess of Mercy in the East, both of whom are predominantly Goddesses of Mercy. The Black Madonna, in Poland, France, Switzerland and Mexico forms another component of the Rose Goddess Walk. White Buffalo Calf Woman in the United States and in Australia the wonderful Rainbow Serpent Mother of the Aboriginal people – these archetypes are all energetically willing and able to create a personal and incredible relationship with you as you release your rose petal. Each of these archetypes represents the Rose Mother Goddess, or the feminine ray of energy. The wise woman form of the Goddess helps to bring an understanding of the mystery of Death and of Life itself and the way in which Life is preserved through Death. The Goddess holds the key to eternal wisdom and so the practice of Rose Alchemy, the art of the Goddess, brings with it a key to truth, trust and wisdom. The rate at which truth, trust and wisdom are absorbed depends on the rate at which the individual can integrate the experience into daily life in a practical sense. The Sisterhood is closely linked with the angelic, devic, faery and elvin kingdoms. The extent of this linkage is bringing with it some fascinating revelations. The current configuration of the many worlds which compose our universe is such that we are gaining increased levels of access to all of them. In other words we can see and speak to the members of the Rose Holy Alliance any time we wish now – they are here and ready to work with us. How did this amazing change come about? Recently the Rose Holy Alliance was signed and opened by the members of the different kingdoms – the angels, faeries, giants, elves, gnomes – and so on – it happened on the 13th January 2017 and it was a momentous occasion. [i] I was there as a witness because this alliance affects the members of the Sisterhood and how they go about their work. The signing of the Rose Holy Alliance means that the integration of those special energies has occurred – we have been waiting for this since the days of Atlantis and it was a great privilege to be there and present for this special occasion. If you sit in stillness for a short time you are sure to feel their friendly supportive presence. So now the Rose Holy Alliance is in place – now, as you release the final rose petal from within you – the sacred work of the Sisterhood can really begin. The format of the Sisterhood may be of interest. There were twelve groups of twelve women who formed the body of the Sisterhood of the Rose. There was an Inner Sanctum of four women who formed the core of the Sisterhood. These women are present today interestingly enough currently all living in Australia. There were Friends of the Sisterhood who supported us in Atlantis and now once again in this lifetime they are present and available to help us as required. You will be able to sense their delightful energy as they may come to find you to give you help and sustenance. Other important groups existed in Atlantis – and the Sisterhood worked with these groups as appropriate as we were all one and used the rose colours to increase the velocity of our work. I am the Blue Rose and my group of roses link particularly to Mother Mary. 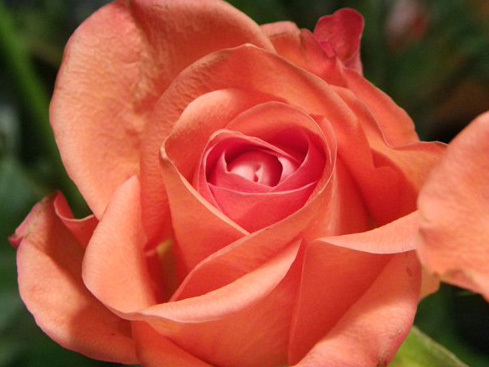 You will know your colour and your linkages once you begin to work with your inner rose. And so we have come to this remarkable time in our lives where the secrets are revealed and we are at last able to stand alone in our own light. For the Black Rose it is the black light with which they work – and much of their work takes place in the Temple of the Black Rose where there is a direct connection with the Black Madonna. And for the Blue Rose the work is in the Temple of the Blue Rose – and so on. The Inner Sanctum represents the collective sacred energy of the Rose Sisterhood. The four who form it have just recently recognized their role and begun to work it. This will affect all members of the Sisterhood known and unknown. It means that the Sisterhood has returned to Mother Earth at this crucial time and that we will all in some way that we do not know be drawn together. Through this association we will be able to change the world. The Inner Sanctum combines its energy with supporting the emergence of members of the Sisterhood who have begun to remember. The energies they provide are the original core energies and not a derivative. There are many derivatives now who are tuning in to the vibration of this sacred energy and representing it as their own. They will dissolve as time goes on and the authentic rose will take her place and be fully recognized as the centre of this sacred work. The Divine Feminine was expressed as a Goddess who led each group of Rose Women. The Goddess is the manifestation of the feminine essence, that essence just described that has manifested in different generations and in different ways across all the nations of the world, producing with it variations of the same theme. For the Sisterhood the manifestation is the sacred rose herself. It is the love of the Rose that is often the first thing that draws a person into a relationship with the Sisterhood. And it is the rose who brings the signs and symbols to us that we need to see – the triple rose above indicates that our search for the truth is over and that it is all being revealed as I write. The magic and energy of the individual rose vibration and the collective Sisterhood of the Rose extends us to a relationship with the Stars and the Shambala Star in particular. This is the new essence of Rose Alchemy, the magical and incredible link with the stars. The energy of the stars is reflected back into the sacred waters of Mother Earth and working with the sacred waters has been an integral part of the work of the Inner Sanctum for many centuries so no doubt this will continue. There are many derivatives now who are tuning in to this sacred energy and representing it as their own. They will dissolve as time goes on and the authentic rose will take her place and be fully recognized as the centre of this sacred work. Each group of the original twelve women was loosely organised into the four cardinal directions of North, South, East and West. Their work involved holding each colour ray steady, and balancing the ray within the four quadrants of the earth under the guidance of the appropriate Goddess. It is thought that the members of the Sisterhood came from the Sect of Essenes with Mary the Mother as their Master Essene. The wisdom contained in the lost scrolls includes information about the the feminine face of God lost for centuries. It has been my great honour to be able to transcribe many of these scrolls and to bring them forward as my series of Rose Books – there is much more to do of course – we have only touched the surface. 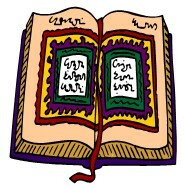 Information and knowledge was also stored in Tibet. Tibet is a land where revelations come in the monasteries and nunneries situated in high places where there are no distractions. It is just you, the Earth and God. Every monastery is unique. One monastery, called the Monastery of the Mystic Rose, acted as the record keeper of the Rose Records. It is to this monastery that I travel when I read the Rose Records and its energy is simply no less than divine. The Sisterhood today is moving towards fulfilling its role as a Supreme Healing force as its members wake up and remember – it is a revered gathering of the holy rose. Whilst the Sisterhood acts as a major custodian of the rose wisdom the way in which this healing takes place is part of the sacred knowledge that is only released to initiates. As epochs in human history have needed certain colour rays or healing tools the Sisterhood has as its role the management and development of the different rose energy and light vibrations. The Sisterhood has a direct linkage to the universal symbols. They are the guardians of these universal symbols and they are responsible for releasing these symbols to those who are willing to receive and remember them at this time. Once the last rose petal is released then the universal symbols are received and remembered – it is then and only then that the Sister will go on to do her true work. Any burdens in this life that she is currently experiencing will be gone forever. The symbols can be received in many different ways – the most popular has been through Rose Alchemy. Some sisters are now electing to take the initiations of the Sisterhood beginning with Atlantis first followed by their own personal initiation – this is a tremendously exciting route and one that I personally applaud. Currently the members of the Sisterhood work both independently and in cooperation with each other. Each individual member has a particular talent in terms of creativity, which she is now beginning to use to its fullest possible extent. And so, there are writers, artists, teachers, shamans, travelers, healers, earth mothers, grandmothers, sisters and friends. All the elements of these roles have a significant place and a major contribution to make. All contribute to the creation of a critical mass, which is charged with changing the negative into the positive at a local, national, international and universal level. The excitement of the new vibrations coming into all our lives is reflected in the increase of activity amongst the membership of the Sisterhood at this particular time. Women and men are increasingly being drawn to the simple and straightforward energy of Rose Alchemy because its principles are universal – and to the Rose Readings and Rose Initiations as a way of signaling their transformation. Women and men alike are being drawn to understand the nature of the sacred contract that they have with the universe and how they can work in co-operation with the Angelic realms. The Angelic realms manage the energy grids of the earth and keep the polarities in balance, in order to secure the health and well being of Planet Earth. One of the members of the Inner Sanctum has been doing this work for many years now – her Earth Walk has been generating transformative experiences and will continue to do so in greater intensity now that we have signed the Rose Holy Alliance, found and re-created the Inner Sanctum and seen the activation of the Black Rose – these three things together were the key to the next phase of change that we have all been seeking. This key will awaken us to remember to release the last rose petal. We know that the Sisterhood has a direct linkage to the realms of the angels, elves, gnomes and so on and to the universal symbols themselves. Members of the Sisterhood have always acted as the guardians of these universal symbols even if they have not remembered all of them. We are responsible for releasing and embodying these symbols now. Once we find the symbol that is ours we release it and then we become it – we then walk the Rose Walk and transform ourselves and others simply by being fully present. Should you feel a connection with the Sisterhood it is important that you honour it. Now is the right moment for you to make your universal declaration in order to fulfil your full potential. 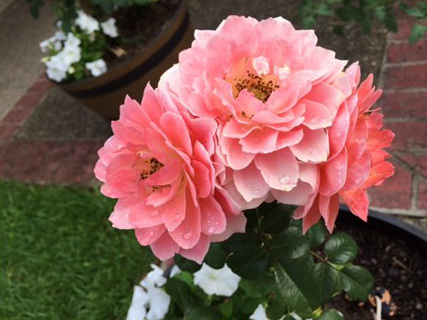 It is time to link with the Sisterhood of the Rose in a gentle, progressive and wondrous way. Do not allow yourself to be marginalized at this important time. 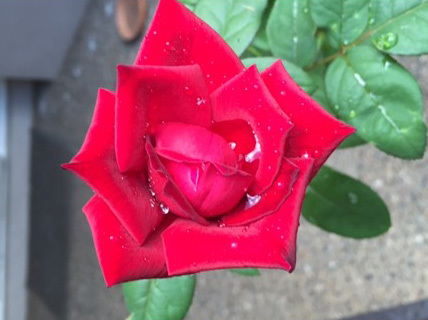 So welcome Sisters to our time of change – together we will expand the rose energy of Mother Earth and contribute to rose consciousness with a vibrancy that we can begin to emit immediately. Feel the expansion – unfurl your wings – say the Sisterhood prayer – release your remaining rose petal for when you surrender to the dream you can live in bliss – and bliss is retained forever. Dr. Christine (Cris) Henderson is a Creativity Consultant with her own business, Crescendo Solutions. Cris holds a Ph.D. in International Relations and an MA from Queensland University. She lived for six years in Hong Kong gaining an understanding and appreciation of Asian business and culture. She attended the Universities of Warwick and Oxford completing courses in university administration and the Darden School of Business Administration, University of Virginia, participating in a high level course in strategic alliances. 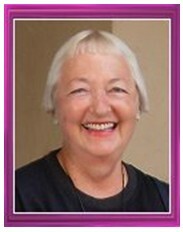 She is qualified as a Master Trainer in Reiki and Seichim. Amongst her credits are ‘A Work of Faith’ the history of The Glennie School, Toowoomba, which traces the history of women’s education in Queensland and ‘Cancer Help’ published by Simon and Schuster in two editions. 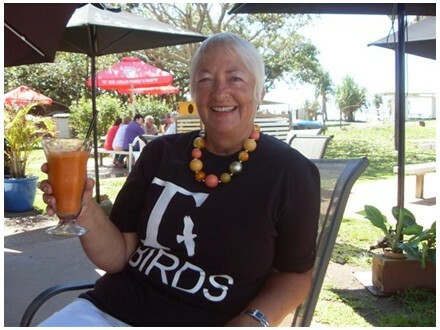 ‘Mini Meditations’ were first published on an occasional basis in ‘Insight’ magazine and in New Zealand in ‘In Touch Magazine’ and ‘Rainbow News.’ She is a major contributor to a biography of Arthur May, unsung hero of the Second World War in Hong Kong. The subject of her latest books, the Rose Series, which is a collective of six books and four workbooks is the re-emergence of the esoteric rose energy. She has travelled the world to locate the myths and legends that support her rose work and now trains people internationally as Rose Alchemists. The rose blog is not a substitute for the advice of a trained professional such as a medical doctor or a professional counsellor. It is essential to consult such a professional in the case of any symptoms, either mental or physical, or for the practical application of financial advice. The author expressly disclaims any liability for injuries or loss resulting from the use of the material contained in the rose blog. [iii] Please contact me for further information on the Rose Cloak. [iv] Should you wish to experience this energy a special meditation is available – please contact me as this meditation will not be posted on the web site. [v] Many look alikes are emerging on the Internet in relation to the Sisterhood – however if they have not made the conscious link with the energy of the rose then they will soon fade away.